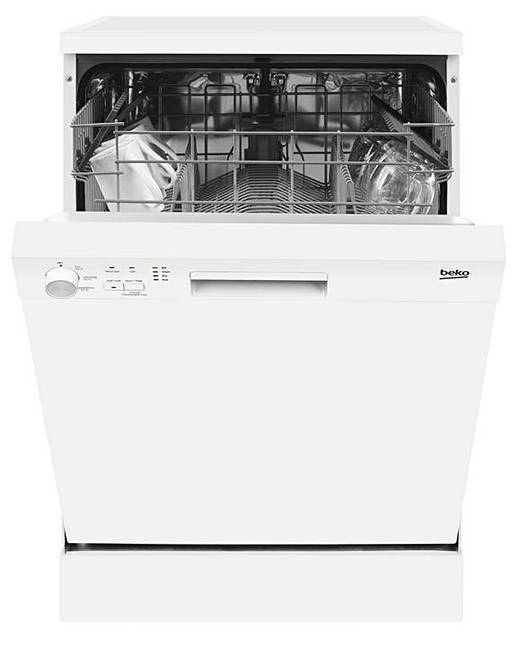 High Specification Full Size Dishwasher with 4 Programmes, the quick programmes are great for when you're in a hurry and allow you the flexibility to wash a full load in 30 minutes, depending on the level of dirt on the dishes, giving you the perfect solution for when you're in a hurry. The Half Load function is a perfect addition for those days when you don't have a large load of dishes to wash - it can help you save between 10-25% in energy and water consumption when washing half or smaller loads. Easy to load and completely removable, the cutlery basket allows a more effective loading of dishes. The cup racks can be folded to make room for larger dishes, pans and bowls, allowing for more effective loading. 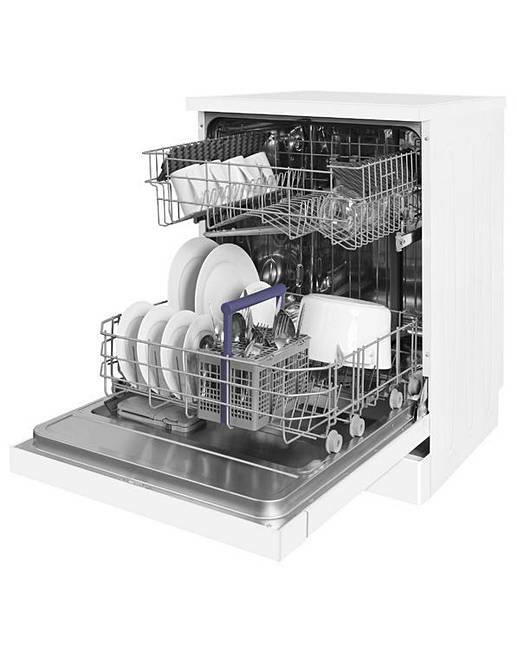 With a large 12 place settings capacity, you can wash all of your dishes, even larger items, in one go. 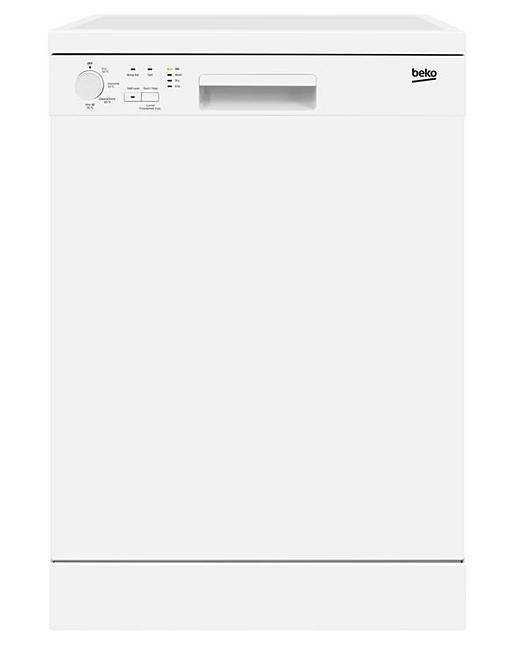 Easy to view, these indicator lights let you know when salt or rinse aid needs adding to your dishwasher.